I recently got sent a few products from Beauty Big Bang to try. I got this bright yellow stamping polish (doesn't have a name, but the box says it's number 005). 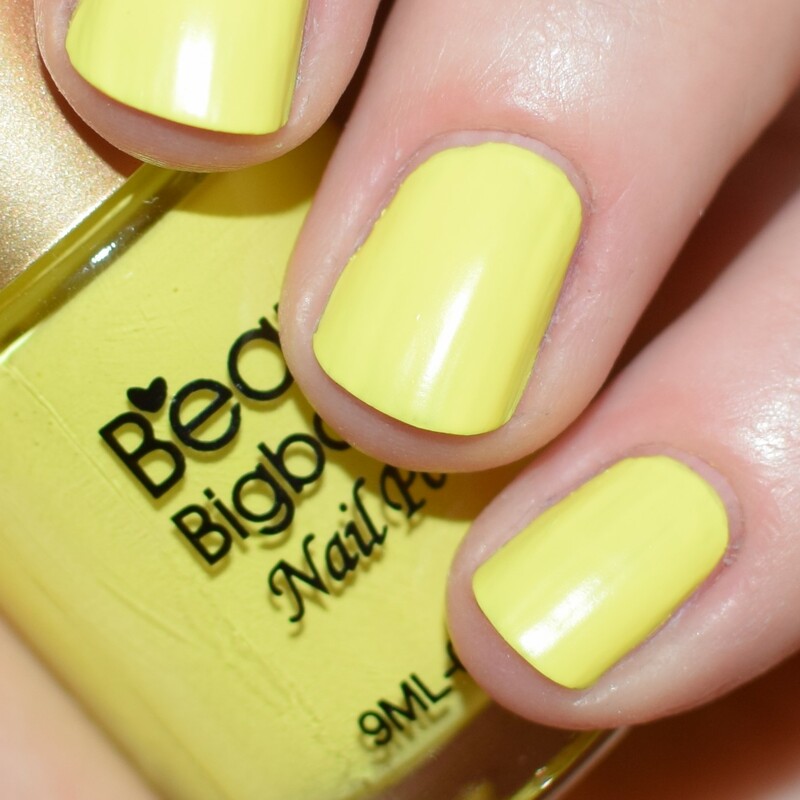 I love the colour yellow, I don't own nearly enough yellow polishes, and until this didn't own any stamping yellow polishes. The polish was almost opaque on the first coat, but was pretty streaky, so I applied a second. After the second coat the streaks disappeared and it is a stunning bright yellow shade. It does need top coat because it dries slightly dull (which is the case with most stamping polishes). The brightness of the shade does make it quite tough to take a photograph the colour true to life. All of the yellow polishes are I owned until now were not the greatest for stamping, so I was immediately in love with how pigmented this polish was. Even stamped over a black base this polish stamps designs perfectly opaque. I was really impressed with the quality of this polish, I like the brush and application. 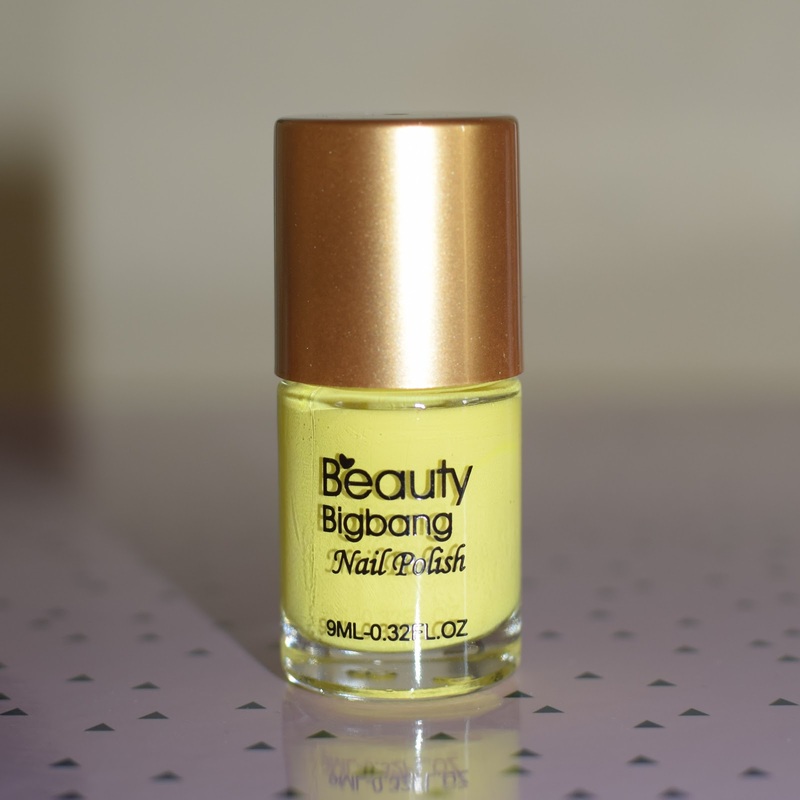 I can't wait to get some more shades of polish by Beauty Big Bang.